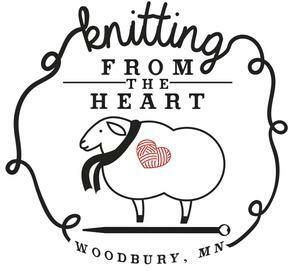 Come in with your knitting or crocheting! Everyone is welcome and it's free! Great way to connect with the store and other fiber lovers. Please no open knitting during class times! ​Closed January 1, Memorial Day, July 4, Labor Day, Thanksgiving and Christmas Day. 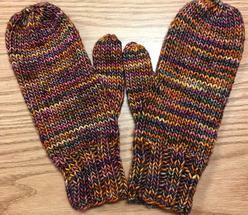 Worsted weight yarn, US 7 & 8 needles. In the round, circular and double points. 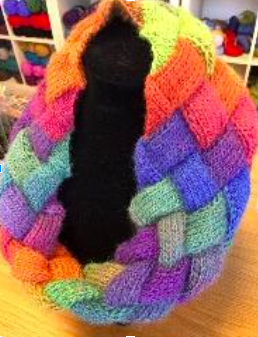 Learn the basics of Entrelac and make a stunning cowl. Intermediate level class. 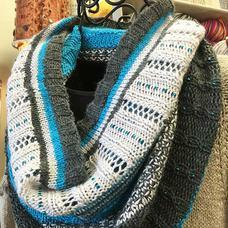 #1 on Ravelry's Hot Right Now List! One Skein Project with Beads! $30 Plus supplies. Yarn 15% off. Learn the basics to make a scarf. 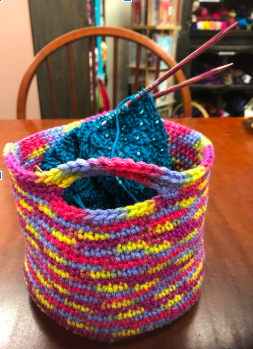 Learn to cast on and knit in the round on FlexiFlip needles, a cross between double point and magic loop. $18 plus supplies. 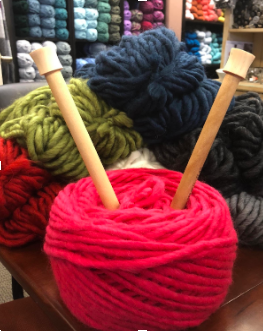 Yarn 15% off. Afraid of cables? Learn how to work cables without fear and with or without a cable needle. 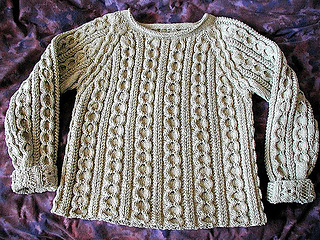 Worsted weight yarn, US 9 needles. Book and Yarn 15% off.